The holidays may be over but that doesn’t mean the fun has to end. Thanks to Jenny Craig at Homeworld Helensvale you can enjoy healthy treats that are delicious and fun, all year round. Create a delightful dessert the whole family can enjoy whilst sticking to those new weight loss goals. 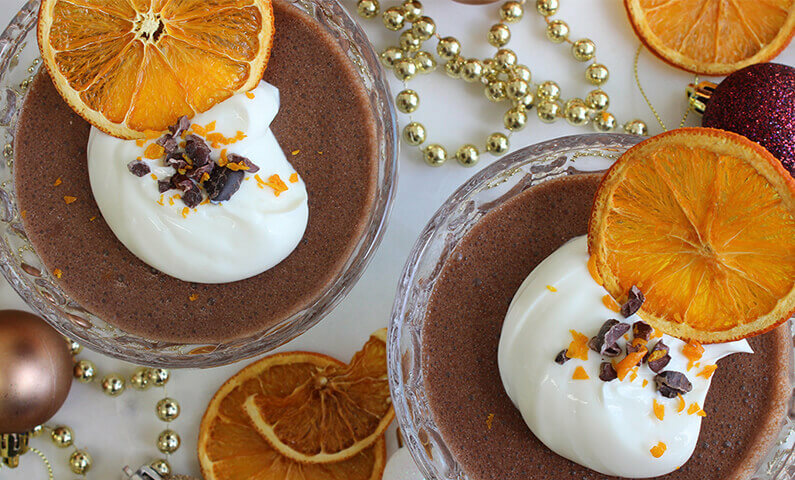 With a little sweetness and orange zest, this classic Jenny Craig Chocolate Mousse is sure to impress. Using an electric beater, whisk Jenny Craig Chocolate Mousse powder with orange juice, orange zest and skim milk until light and frothy. This should take approximately 4-5 minutes. Pour the mousse into 4 serving dishes or ramekins and place in the fridge for at least 30 minutes to chill and set. Serve cold from the fridge and top with a dollop of fat free vanilla yogurt and extra orange rind to garnish. Make the decorative orange slices by baking thin orange slices in a low oven (100°C for 2-3 hours), until dried out. Check occasionally. For more information on how Jenny Craig can help you stick to your weight loss goals in 2019, pop in and see the team and Homeworld Helensvale or phone them on 07) 5502 6266.